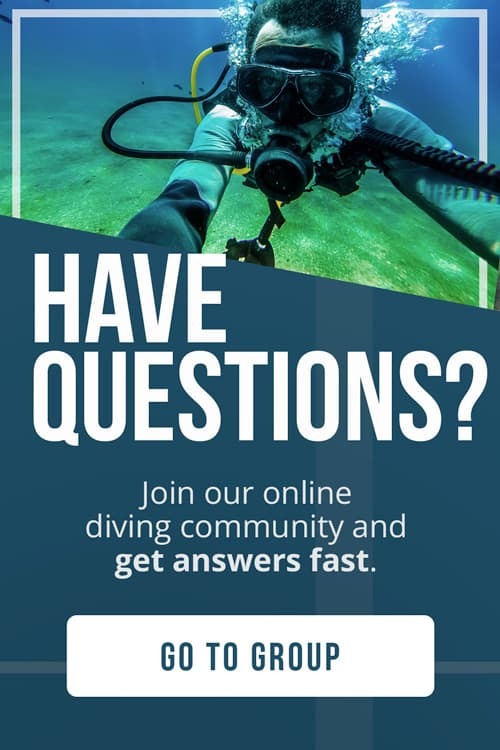 Are you planning a dive trip this March? It can be hard to figure out which destinations are the best to visit during a specific time of year. Here at The Adventure Junkies, we want to make your job easier. We’ve prepared this handy guide on the best liveaboard destinations to go in March, so you can spend more time on the fun stuff! March is the dry season across the Caribbean, and diving is generally good in most areas here. 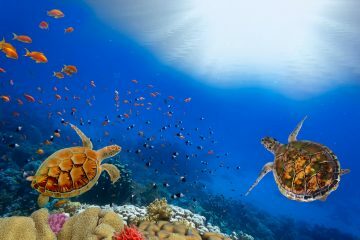 Conditions are also at their best in the Red Sea and the Middle East, where the shoulder season brings pleasant temperatures and good marine conditions. Across the Pacific Ocean, conditions vary but Fiji sees lots of pelagics while Palau and Truk Lagoon enjoy comfortable conditions. March in Burma is the best time for seeing manta rays and migrating whale sharks. With over 300 remote volcanic islands, Fiji offers superb diving for all skill levels. Beginners will appreciate the amazing visibility in Fiji’s protected lagoons, with beds of soft corals and sea fans. 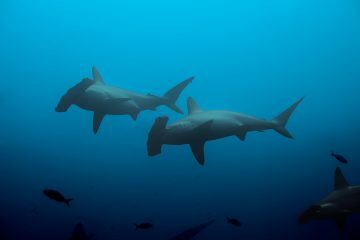 Advanced divers can go drift diving in the strong currents, past pinnacles and walls with sharks, rays and barracudas. Whatever your level, a Fiji liveaboard is the way to go. Fiji’s summers are hot and rainy, with reduced visibility because of the plankton swells. On the bright side, the plankton brings in plenty of big-ticket items such as whales and manta rays. A thin wetsuit is all you’ll need in these balmy waters. March is the low season so look for deals on liveaboards. Fiji’s underwater environment is the focus of conservation efforts by a non-profit organization. Hopefully, this means many more years of great diving! The twisting, turning underwater geography in Palau is home to mini-blue holes and caverns that you’ll want to explore for hours on end. Other popular dives include World War II wreck diving and more challenging dives that require reef hooks for the strong currents. Some sites boast visibility up to 200ft (60m). With a Palau liveaboard, you can see it all! Palau’s diving scene is good all year, with consistently clear, warm waters. March falls during the dry season, which also enjoys calmer waters and is, therefore, a popular choice for divers. The marine life varies little throughout the year. Although water temperatures also vary little, March can be on the cooler side. Palau is an emerging tourism hotspot – book your trip soon for the most authentic experience! This protected lagoon in Micronesia has a bloody past as the site of an epic battle between the US and the Japanese in World War II. A Truk Lagoon liveaboard will take you to a massive underwater graveyard where dozens of sunken ships and airplanes spread over 50 dive sites are home to sharks, turtles and hundreds of schooling fish. It’s handy to have your deep diving, wreck diving, cave diving or at least advanced diver’s certification before you visit Truk Lagoon. March is the dry season and waters should be fairly calm, although check the forecast for typhoons before you go. Since the lagoon is so sheltered, water temperatures are always pleasant and visibility is decent, if sometimes a little clouded around the wrecks. The Turks and Caicos Islands are located in the paradisiacal Caribbean, southeast of the Bahamas. Steep underwater drop-offs plunge down 6000ft (2000m) to the ocean floor, the perfect place to find sharks, mantas, turtles, dolphins and schools of pelagic fish. Lucky divers will even see migrating humpbacks or barracudas. Beginner divers can dive small wrecks and soft corals. A Turks and Caicos liveaboard is sure to be an incredible trip. 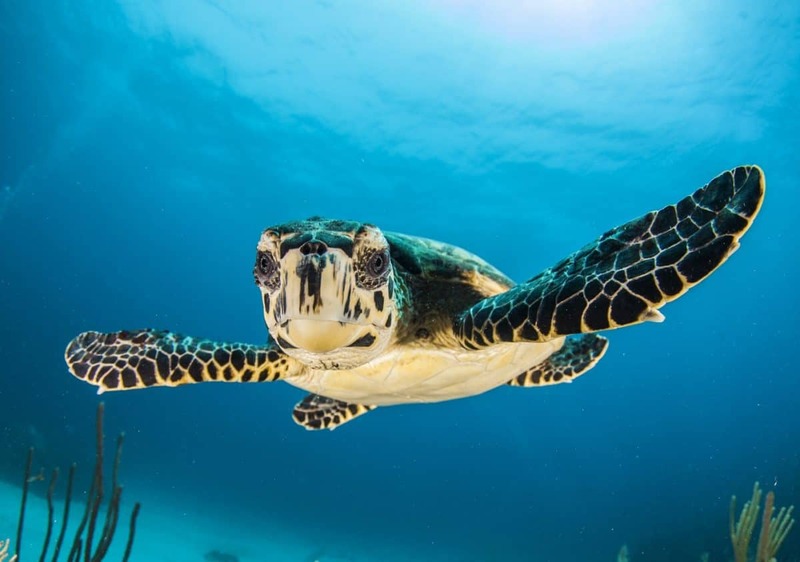 Although the Turks and Caicos can be dived year-round, the summer brings a risk of hurricanes and many people prefer to dive in the dry season, when waters are at their calmest. Water temperatures during this season usually hover between 73-79°F (23-26°C), although this varies depending on the island. Visibility is not stellar but can stretch up to 100ft (30m) at the more isolated spots. From January to March, divers have the chance to spot migrating humpback whales. Cuba is famous for its friendly sharks and groupers, who like to play with the scuba divers that visit this tropical diving mecca. Protected marine areas promise untouched dive sites with healthy coral reefs and a multitude of fish. The best sites only allow a limited number of divers and are exclusively accessible with a Cuba liveaboard. March is also the dry season over in Cuba, where divers will enjoy warm water and barely any current. The visibility is excellent, reaching between 100-130ft (30-40m). Keep an eye out for crocodiles, and get used to swimming with sharks. There is no shortage of them here! A Cayman Islands liveaboard offers a wealth of diving opportunities, from wreck diving to deep diving and tec diving. Divers will swim with hammerheads, groupers and tame stingrays. Meanwhile, the coral reefs are teeming with colorful fish and macro life, and you just might see a moray eel poking its head out. Check out our tips on underwater photography to get the best shots! Outside the summer hurricane season, weather in the Cayman Islands is slightly cooler and drier. However, water temperatures don’t change much throughout the year, hovering between 78 and 82° F (26 and 28° C). Visibility is usually at least 60ft (18m) and can stretch up to 100ft (30m) in some places. Burma is best known for the Mergui archipelago, a string of more than 800 islands scattered throughout the Andaman Sea. Relatively new on the diving scene, many dive sites have still not been fully explored. With a Burma liveaboard, you can be the first to discover what lies out in the open ocean beyond the colossal underwater mountains. March lies outside of the monsoon season and divers can expect dry weather and calm water. Visibility in the uncrowded waters ranges from 80 to 90ft (25 to 30m). During the plankton blooms, which occur from February to April, divers will have the chance to see manta rays and the whale sharks who come for the cleaning stations. Burma is more accessible every day and it’s a great destination to visit before it becomes more popular. On the tip of the Arabian Peninsula bordering the Gulf of Oman and the Persian Gulf, Oman boasts of several protected marine areas. The fantastic diving here is a well-kept secret. With an Oman liveaboard, you’ll be swimming with impressive schools of fish over pristine coral reefs. Many dive sites are shallow and great for beginners, but advanced divers have the option of investigating caves or deeper wrecks. 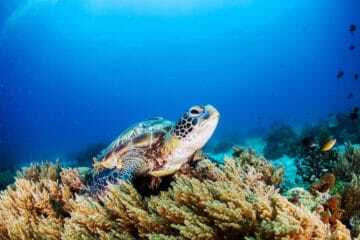 It may fall slightly outside of the recommended diving season, but March is one of the best months to visit Oman if you’re interested in seeing nesting endangered hawksbill turtles. The mild currents that arrive in the winter months have usually petered off by March, leaving behind tranquil, calm waters. Oman is working hard to preserve its natural beauty and it’s also possible to join a citizen science liveaboard with a focus on marine conservation. Egypt is the scuba gateway to the Red Sea, one of the world’s top wreck diving destinations. Aside from famous wrecks like the SS Thistlegorm, there is a plethora of marine life on display. March marks the beginning of the spring diving season in Egypt, when there is a nice balance between weather conditions and marine life. Divers in the northern end of the Red Sea may spot whale sharks. This is the high season so be prepared for crowds and consider booking ahead for the best prices. 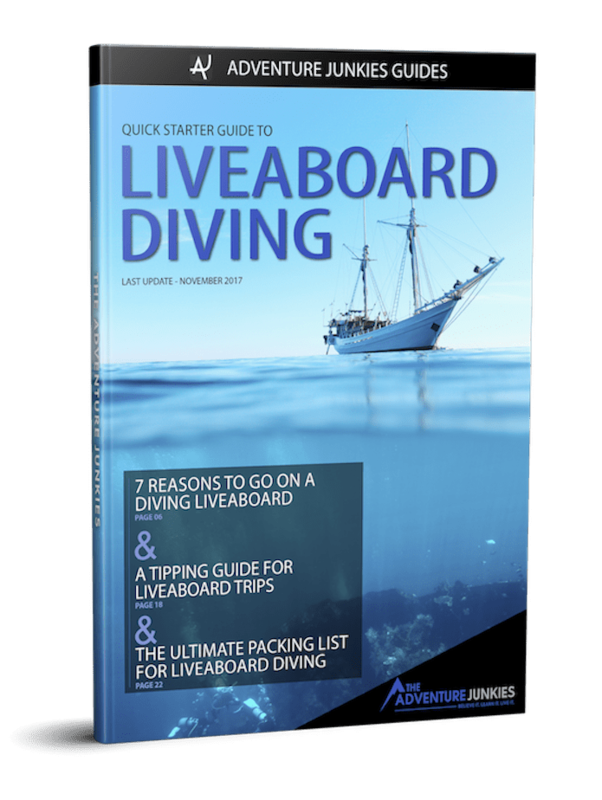 Many Egypt liveaboards will ask divers to be certified in advanced, tec or wreck diving, but Egypt is also a great place to complete these certifications onboard if that’s an option with your liveaboard operator. For divers who have already dived everything Egypt has to offer, or if you’re simply looking for a more exclusive experience, Sudan is for you. This wilder part of the Red Sea draws significantly fewer crowds and as a result, the marine life is thriving. Due to the limited diving infrastructure, diving in this up-and-coming destination is easiest with a Sudan liveaboard. Like Egypt, Sudan is best dived during the shoulder seasons. In March, weather is not too cold nor too hot, and diving conditions are at their best. Visibility is better in the north, as the south suffers not only from plankton blooms but also from desert storms. The north is also better for wreck diving and for finding barracudas, sharks and manta rays.